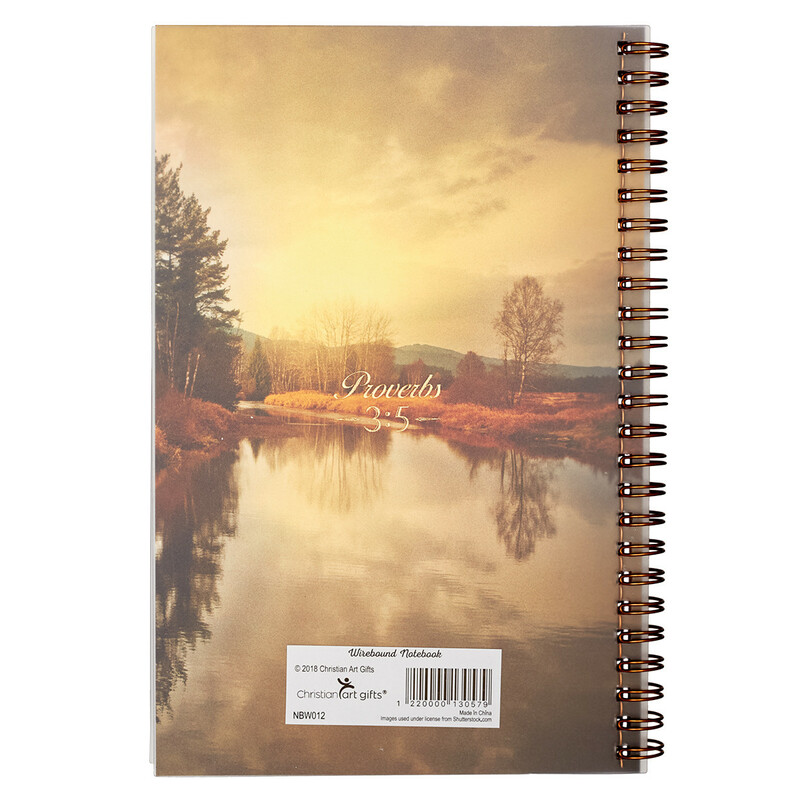 With words of courage, wisdom and inspiration throughout, this handsome notebook is a reminder that God is with you throughout all things. 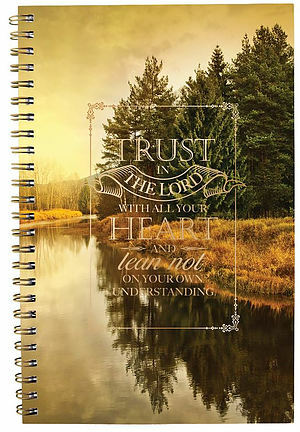 Trusting in the Lord's plan for your life is the theme of the Trust In The Lord Wirebound Notebook, which makes an inspiring gift for any loved one who needs a space to write, take notes, or record their thoughts and prayers. 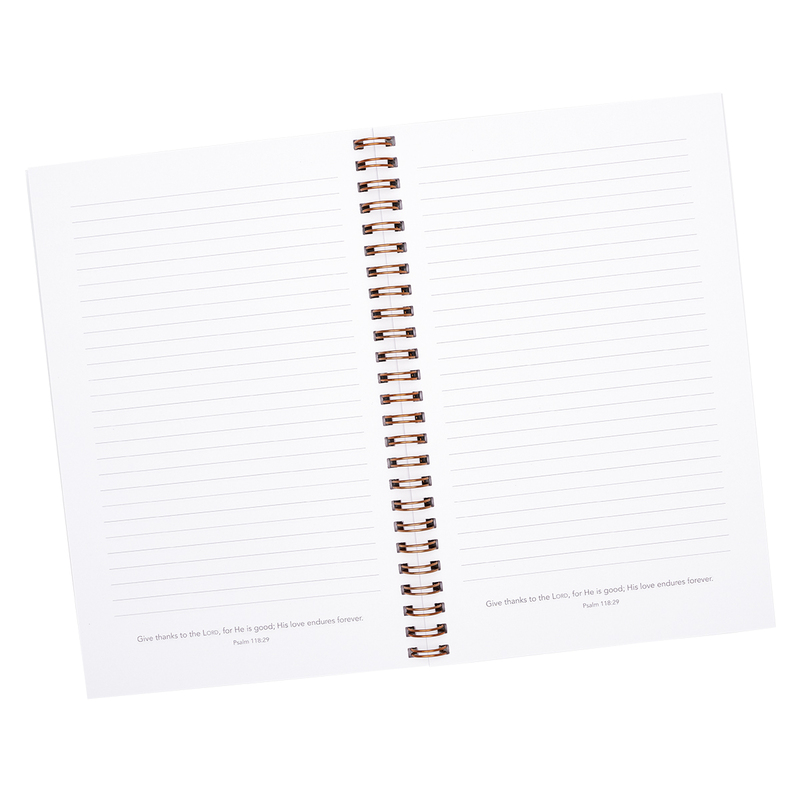 This Christian wirebound notebook is a compact size and easy to bring along to church, class, work, or another engagement. You will want to use the Proverbs 3:5 Notebook throughout your day. Trust in the Lord Wirebound Notebook by Christian Art Gifts was published by Christian Art Gifts in September 2018 and is our 4891st best seller. The ISBN for Trust in the Lord Wirebound Notebook is 1220000130579. Be the first to review Trust in the Lord Wirebound Notebook! Got a question? No problem! Just click here to ask us about Trust in the Lord Wirebound Notebook.